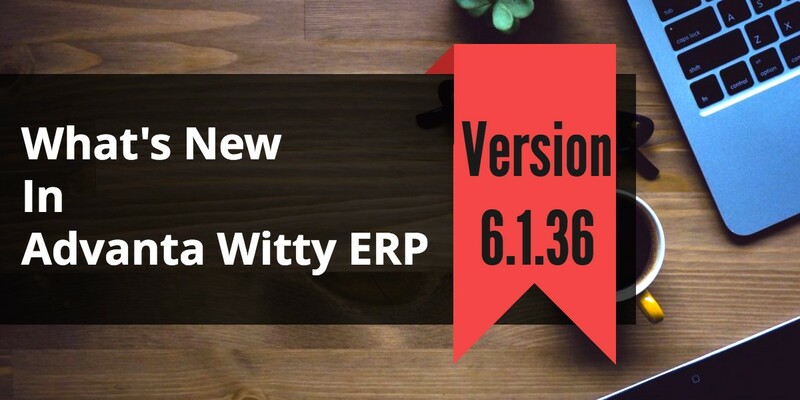 Advanta Team is back with another update version 6.2.35 of Simple Billing Software Advanta Witty ERP. Please download and update as soon as possible. Following are the various enhancements and bug fixes in our Simple Billing Software Advanta Witty ERP. Added Tariff Classification Master in Inventory. And Associate each Item with One Tariff Classification. Created ER-1 Report with Options to View Report Item wise, Item Group wise or Tariff Classification wise. Improved Form C4. I Form Sale will Reflect in Form C4. Added 3.5 % Tax Classes for Sale and Purchase. 3.5 % Tax is required for Exempted Units. Added Option to Use Barcode in Composite Mode. Composite Mode Means Now User Can Select Item Name and Batch No. in a Single Barcode. Added Utility to Deduct TDS. TDS can be deducted for Multiple Parties on a Single click. Now User has not to worry about deduction of TDS on each Transactions. Utility will show all Parties with Pending TDS Deduction and their TDS can be Deducted on a Single Click. Improved Utility of Multiple Payment. Now Discount and Interest can also be Posted through this Utility. Added Purchase/Sale on Commission Basis Feature. Added Option “Use Purchase on Commission Basis” in Easy Wizard for Commodity Broker Business Type. On Basis of this Option in Market Purchase Series an Option “Use Purchase on Commission” will Appear. In Market Purchase if the Option “Use Purchase on Commission” is ON then in Inventory Voucher Purchaser Name will Appear in Place of Posting Account. In Sale Series if the Option “Use Purchase Commission” is ON then in Sale Voucher at Item Editor List of All Items Purchased for Selected Party under “Purchase on Commission Basis” Option will appear. User can Select any Item and Stock of this Item will Reduce and if Item Sold Completely then Name of Item will removed from List. Added New Option in Feature and Options “Use Multiple Transaction Mode”. On the Basis of this Option Same Option will Appear in Series. If the Option in Series is ON then In Inventory Voucher a Window will Appear to Adjust Amount into Various Transaction Modes. If Above Option is ON then a Master will Appear in Misc. to Create New Transaction Modes. Improved Utility to Import Data from Witty to Witty. 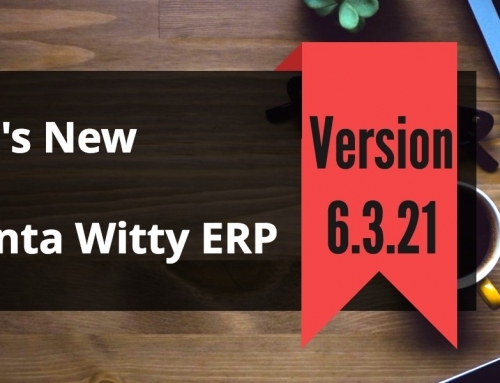 Users can Import Inventory Items from One Organization of Witty to Other Organization. Users can Import Accounting Ledgers from One Organization of Witty to Other Organization. Users can Import Inventory Vouchers from One Organization of Witty to Other Organization. Users can Import Accounting Vouchers from One Organization of Witty to Other Organization. Added New Option in Feature and Option to “Store Attachments in Transaction”. If the Option is ON then Same Option will appear in Series also. On Behalf of above Option new will appear in Transaction to Ask Attachments. So User can Store Documents like JPG, PDF, DOC, XLS etc. Now Multiple Sale/Purchase Order can be Adjusted into a Single Sale/Purchase. Now Sale/Purchase Order can be edited although it is adjusted to Sale/Purchase. On the Basis of Option “Club Sale Purchase” all Ledgers which are associated with Invoice Fields are also be Clubbed. E.g. if Round off, Discount etc Invoice fields are Posted to Separate Ledgers then these Ledgers are also Clubbed. Added Cash/Credit Mode in J Form. When Mode is Cash, a Textbox will appear to Enter Farmer Name. Improved Invoice Software/billing software with Invoice Wise Field Values. In Invoice Software, added a Copy Button. Now User Can Copy Field Values of One Item to Other Items. Improved Bill Designer to make it an simple billing software. Added following New Variables in Grand Total, Footer Section. “Total IsService Value”, All variables for Delivery Location. Added new Master “Itemwise Partywise Taxes”. Now Taxes can be fixed for a Selected Party and Items. Added new Master “Route wise Party Sequence”. Added a New Transaction to Set Sequence of All Parties Under the Selected Route. This Sequence will Show in Collection Sheet Reports. Added new Report “Collection Sheet (Slip)”. Added New Collection Sheet (Slip) if the Bill By Bill Detail Option is ON. Printing of This Report divided into Two Columns. Improved Reports for Fertilizer/Seed/Pesticide Business. Improved “Salt wise Stock” Report. Now Salt will Appear on Item Type Basis. And Sale Qty Bifurcated into Sale to Farmer and Sale to Dealer. Added “All” Option to Item Type in “Sales Stock Pesticide” Report. Added Critical Level Stock Reports. Added Critical Level Reports to Check Stock Level with Re Order Level etc. Created Registers of Accounting Vouchers. Added Registers for Accounting Vouchers in Books of Accounts. Improved Batch wise Detail Feature. Improved Remove Master and transaction Utility. Added New Option to Delete Opening Stock of Multiple Items. Now On Pressing Enter at Cost Centre Ledger, Transaction can be View and Edited. Please feel free to contact us for more information about ourSimple Billing Software Advanta Witty ERP.